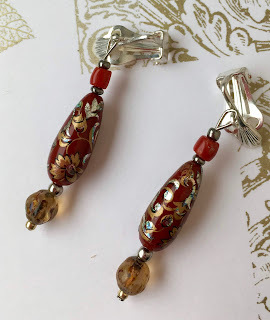 I like to see what earrings people (generally women) are wearing because some of them fascinate me especially the elaborate and colourful ones. Although saying that just simple stylish ones also draw my attention. Now I do not have pierced ears myself so when Jane gave me lots of clip-on findings I really wanted to have some new earrings. These cross ones were originally for pierced ears and in my stash, I altered the findings so that I can wear them now. It is a pattern I designed and my favourite earrings were a black pair ones, until I gave them away to a young girl who also did not have pierced ears. With the top two snowflakes I wound two 80 threads together, the bottom two are size 20. My new year resolution (which usually carriers on from year to year), is to be more tidier and do do more tatting! Well a bit of an exaggeration, shopping was extremely difficult when you have at least two men with you most of the time and because of transport, time and logistics there wasn't any opportunity of going it alone! My favourite place to visit for beads and findings is the People's Park Centre in China Town. An amazing place to buy such pretty things, there are many shops selling beautiful items that you never see in any other place. This time though I resisted buying any more beads etc because I have too many, and unfortunately there wasn't a particular project I needed them for. Instead this thread caught my eye. It looked similar to the Lizbeth thread in appearance but as it was wrapped in cellophane could not even see what the strands looked like, or how thick they were, so decided to buy a reel and take a chance. Yesterday I tried to tat with it, it is lovely and works well and looks as though it is coming out as a 20 but need to tat more to really find out. Have now kept the bag giving the shop it came from and the original wrapping. Interesting enough it is called 'stringing material' but when I asked the assistant whether it would work for tatting she had not a clue what I was on about! It also came in a selection of colours, shame now that I only bought one reel! I looked back at my blog posts to discover that I started this mat in January, not sure if it will be finished by the end of the year but only plan to tat one more row. Today is is very dull so the colours are not coming out very well either. Indoors or outdoors there does not seem to be any natural light. 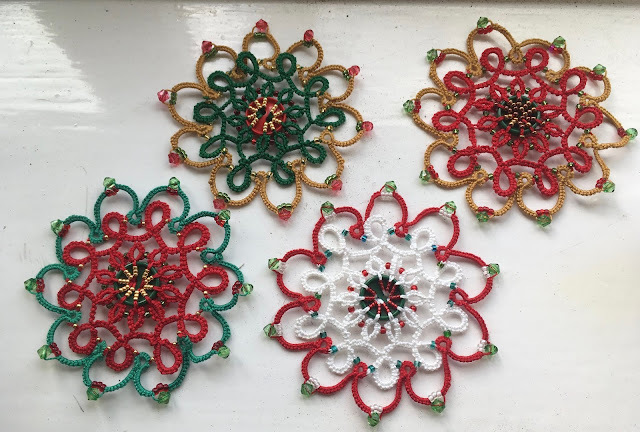 Well I suppose I should do some Christmas tatting, as so many people will be expecting a little something in less than a months time! 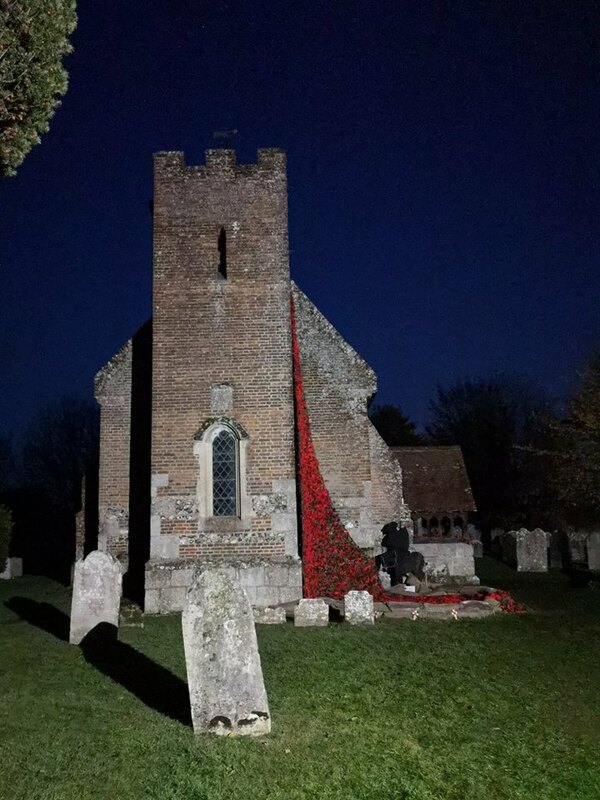 It was May when we first decided to organise a poppy cascade from the tower of a very old church to commemorate the WW1-100. We asked the community to knit or crochet poppies and by the end of October over 4,200 had been donated. Some even came from the USA where a family who used to live in the village had moved to. How to construct the installation took a lot of thinking about, but finally it all came together and at the beginning of November it went 'Over the Top'. That is the name we called it, as those who fought would say those words as they climbed over the trenches into battle. Over the last ten days it has rained and the wind has blown but fortunately the cascade has remained in place, although a bit soggy! The porch was also decorated. And this is what it looked like on the evening of Remembrance Sunday. 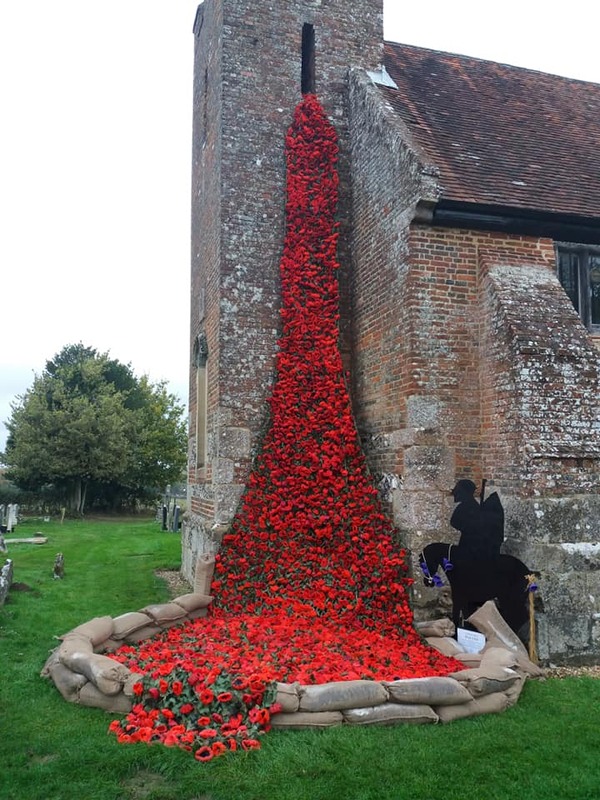 The poppy installation has attracted wide press coverage and hundreds of visitors have come to see it and look at the exhibition inside the church. A fitting tribute to those who gave their lives so that we can live in peace. Even if there are people who do not believe in remembering such events, I am sure they would agree that this poppy cascade is a work of art if nothing else! I am busy preparing for another Adult Craft Evening, an opportunity for people to have a go at different crafts. Here are a couple that will be on offer. 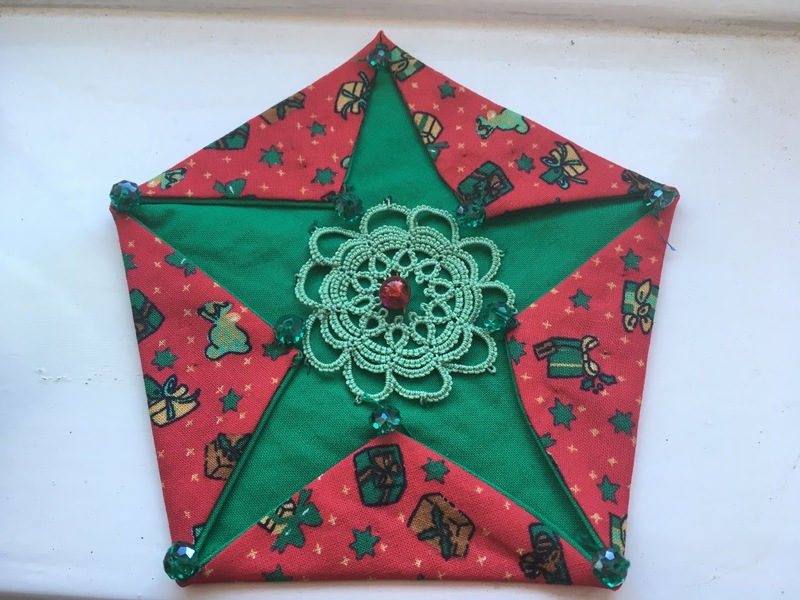 The top pentagon has tatting on but actually the crafters will be making this one as I do not have enough tatting to go round everyone. I had another chance to tat the pattern by Marie G. Gunby last week. This time I was approached by someone who comes along to the 'knit and natter' group that meet in the church once a week. The person was making a 40th wedding anniversary card and wanted to know if I could tat something. Having very limited time at the moment, decided to do the horseshoe. 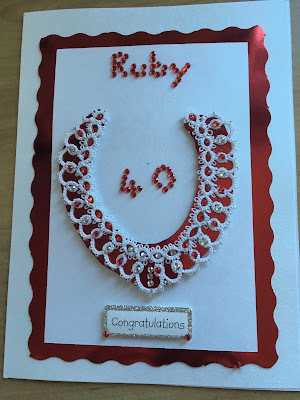 I offered to include red beads with the tatting but I was told that she would put them on the card. This is how it turned out. I am not too keen when tatting has added bits in between would have preferred to include the beads as I went along, but quite honestly the person who I made it for did not quite understand that we tatters are clever with beads! She said she would do that herself and obviously liked to do her own decorating. But it was nice to be asked to contribute some tatting. 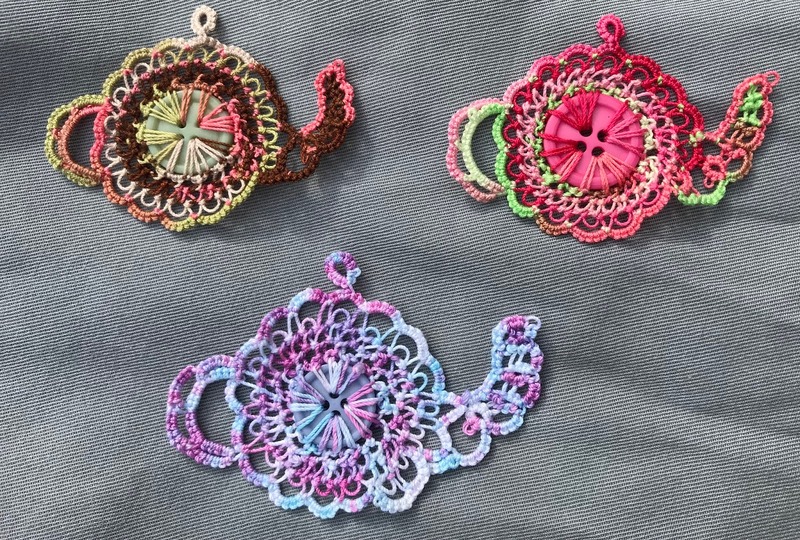 As most of you may know Martha Ess has designed some lovely tatting teapot patterns in the past. In her latest book 'Button Jar' she has this cute little teapot. I really cannot stop making them although the last one (bottom) sort of went wrong and came out a little larger than the others. I think they will look great on cards, as a brooch or just given away. They also seem to work well with variegated thread. Now to look in the book and tat with more buttons. Last Saturday Jane and I went to Churchdown in Gloucestershire for a Tatting Day, this is quite rare for us to go out together to an event like this. We made lots of new tatting friends and saw the many projects others were doing. Also on display some very old christening gowns with tatting on them. Neither of us got that much tatting done but we did buy another tatting book Tatting Designs by Pam Palmer and I bought some thread. And we also met Rosemarie Peel, although Jane had seen her before, but this was the first time for me, she is on the right of the picture. I am not aiming to tat every pattern in Martha's latest book but really must try and have a go at most of them whilst the book is new and exciting. This is a lovely pattern but rather think my choice of thread and buttons do not do it justice, will probably try paler buttons and thread next time. But it is rather fun to tat! I admit is is a little early to think about Christmas but from now on is the busiest time of the year for me, plus I am taking a break just before the festive season to go to Singapore. 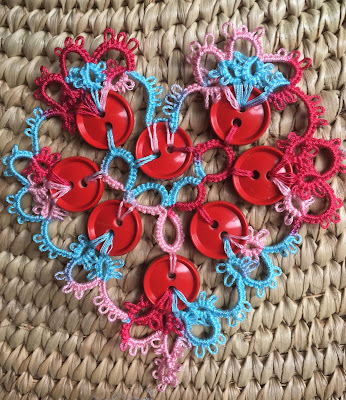 One of the things I try to do at Christmas is to thank people around me for their help and support by giving them a piece of tatting. If I am to keep this tradition going then I must start preparing now. So I thought these will do for this year, the main thing though is when they have all been completed is to put them somewhere and not lose them! 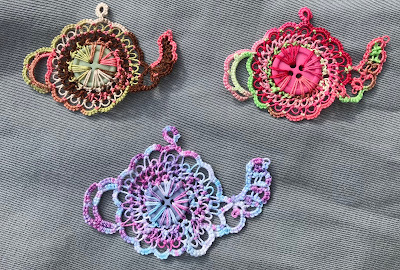 Really excited because Martha Ess has a new tatting book out and it is full of patterns using buttons and of course I have just ordered it. If you would like a copy go to her blog The book is called 'Button Jar Tatting'. In England, certainly in my childhood, nearly every household had a 'button tin' with a vast assortment of buttons in all shapes and sizes. Most were taken off old clothes before they were thrown away, or there were spare buttons just in case you lost one off a garment. So following my passion with buttons just made another Raindrop version and there are more to come. This is sort of an addiction but it is fun to play with buttons beads and thread! These shuttles have just been finished by 'im in the garage', the colours are amazing. From left to right Sequoia, Mahonia and Ebony. They deserved a little sunshine this afternoon! These beauties are for sale, but do you know what I really don't want to part with them, well not just yet. Busy tatting another version of the raindrop and having so much fun with beads again, although have too many of them, can't help buying more packets everytime I visit Singapore. 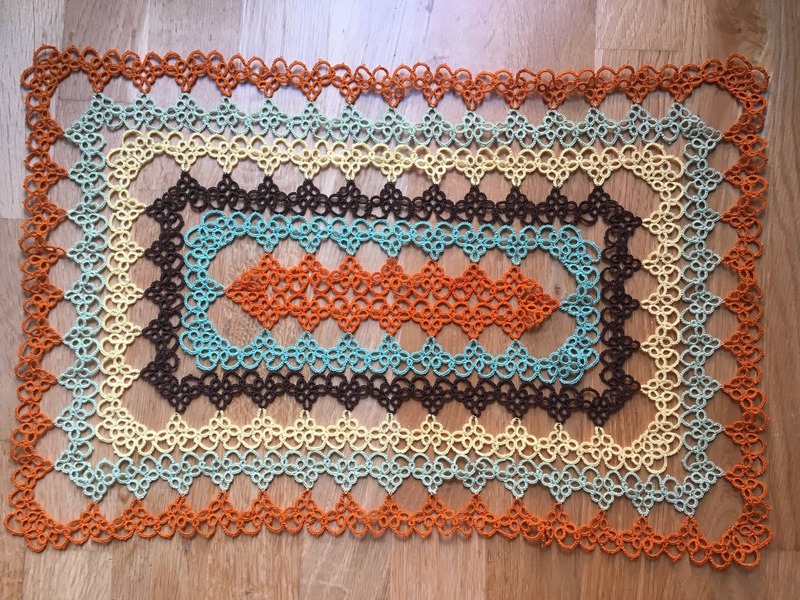 I finished this doily a few days ago but I am actually not that happy with it, the thing is the piece really needs damping, blocking and a good press. This should not be needed but I think some parts of the pattern did not work that well. I have used three makes of thread on this doily Manuela, Coats and Lizbeth all 20. I was trying to see whether this raindrop pattern would look better with a few beads, then it could possibly be used as a Christmas decoration. It worked well for the top one, but may be I should have used green and red beads as well as clear ones. However, I was in too much of a hurry and could not find them straight away! The one below I substituted the button for a large bead and used two 80 threads wound together. Instead of using chains around the edge I worked some lock chains. I have actually finished the Renulek doily just need to get a good photograph of it. I don't find that particularly easy because of its size, but will try and show it you soon. Raindrop No 3 petit is the name of this motif which Karen kindly linked from her blog to a Japanese blog. 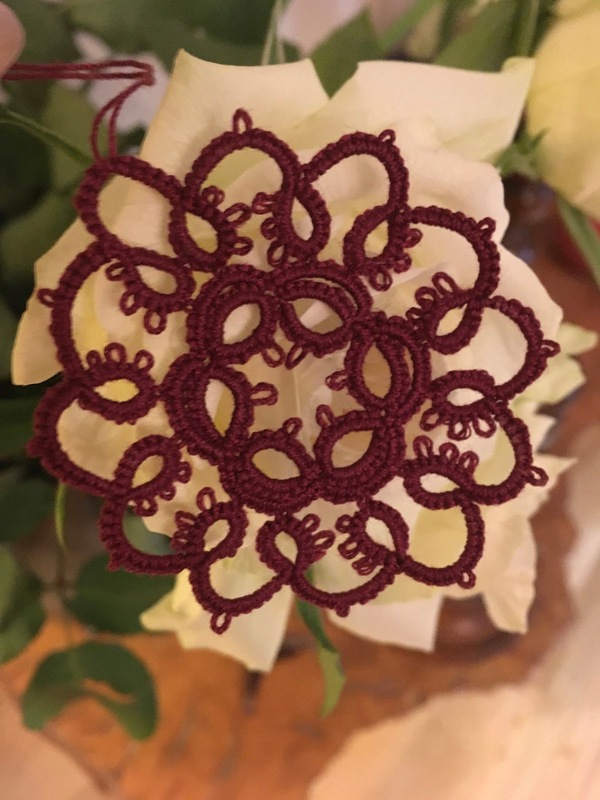 I could not resist having a go at tatting it and decided that adding a button in the middle really made a difference, but as you can see the addition has made it slightly larger. I have some more thread at the ready to tat another one, but again it will be different to these. Over the last few months I have missed tatting with beads so feel that the next one might need a little bling! Thank you to everyone for being so sympathetic about my big disappointment on the Renulek doily which I thought I had completed, only to find a huge mistake. Last night I chopped off the the wrong bit and have loaded the shuttles ready to go again. Having a little break from the offending piece, meant that I was able to return to this doily and complete another round, and gosh how fast it went, how relaxing and satisfying to see such an instant result. However, the other doily is calling me, which one will I work on tonight? 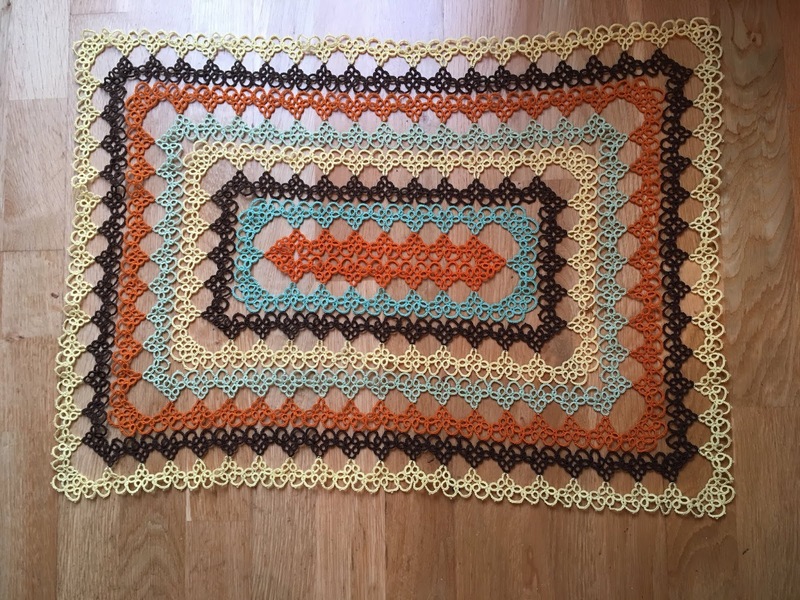 Last night I finished Renulek's doily and was looking forward to showing the piece in all its glory this morning, the last day of July. Especially after months of struggle tatting a piece which has constantly caused me much anguish. My plan was to get up early today and iron the piece, photograph and show it on this blog. However, the plan went horribly wrong when I spread the doily out only to find that I had done the last sixteen repeats wrong! Really don't know why I did not check I was doing the pattern correctly, but had a feeling that only picking it up, sometimes late at night I just lost the plot! Here it is ready for the big snip! So may be before the end of August it will be finished, who knows? Feeling very sorry for myself today. 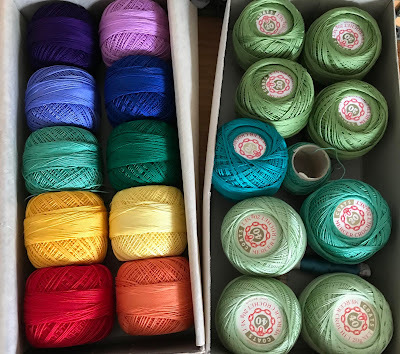 First I must point out that I do not need more thread, although some projects demand more than one ball of the same colour. Also not been blogging for ages now because I seem to be unable to find the time and inclination to sit down and tat much. Sadly making hardly any progress on the two doilies I started, so I thought buying some more thread would give me a boost! Although at the moment preparing for another Craft Evening on Tuesday, so may be not this week. These were e.bay wins and paid on average, including postage about £1.30 a ball. There are some fantastic colours in the boxes so quite pleased that I have more threads to play with in the future. I am attending a wedding this afternoon, this is quite unusual for me as I usually just book them and do most of the admin work and thats it! There has been a general invite from a mature couple who are getting married and attend one of the churches I work in to watch their ceremony. So I decided that as the bride enjoys coming to the Craft Sessions I organise that she would like a tatted horseshoe. I hope to give it to her myself, or the tradition is to ask a younger person to give it to the bride just after she has been married when she comes out of church. It is supposed to symbolise good luck and it is indeed lucky that I actually finished making the horseshoe in the last hour! Today is going to be extremely hot so I am looking forward to coming back home after the ceremony and cooling off in the back garden. No I do not know how to make lace using bobbins, but I was privileged to look at some lace pricking patterns today made from some ancient documents. It would be amazing to know where they originally came from and what the document that they were cut from actually said. All you can imagine is that they were made in the days before electricity and running water, when women sat in the evenings with just candle light to illuminate their work. They were brought in by a member of our Computer Club and were her mother's who died about 5 years ago in her 90s. It seems so long ago since I designed the button necklace (which is on the side of my blog) I have made quite a few over the years, but there are still many hidden away in my stash. Last week I decided to wear one as it went with a particular top. 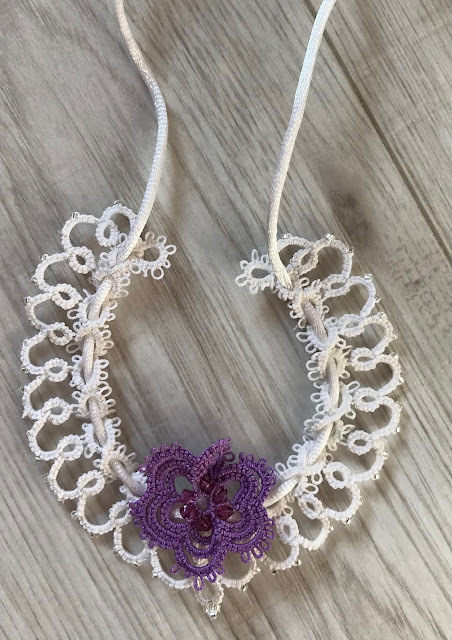 I was surprised and delighted with the attention it got from people and might be inspired to make another one, especially if I need a necklace to match another top. My problem is that over the last few years I have almost abandoned wearing any jewellery as just could not be bothered. What I enjoy most about making these necklaces is playing with different coloured beads and buttons. 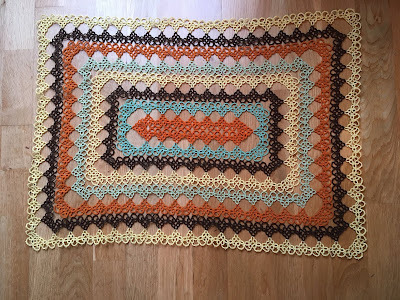 Thanks for all the kind comments about Renulek's doily, I have now started the final round and all is going well, hopefully can show you sometime next week. The last round I tatted seemed to take ages and I was really frightened that I would run out of thread, and have to cut it all off and start again! It was very nerve racking especially as I did not enjoy tatting this round anyway, so the thought of starting again, was just too awful to contemplate! Fortunately I made it to the end with a bit of the thread to spare. As you can see I have started another colour which hopefully is neutral enough to blend in with a Lizbeth thread very close to the original maroon colour. I intend to use both the colours on the last round but it is hard to see if it will work at the moment. Needless to say I will be so pleased when this doily is finished! I am making very little progress on Renulek's doily, because I have very little time to sit and tat it! However, I am a little further on than this picture shows, a quarter of the way along the next row. The round is complicated so making even slower progress. The pop-a-bobbin shuttles continue to sell well and I am hoping that now the weather is warmer more can be made in the garage. I have finished the cats, the pattern is from Inga Madsen's book Tatted Animals. At last I can go back to my doilies. The weather is improving again in England and so hopefully the garden will get some attention this weekend. Sorry to say that these shuttles have been in this basket for over a week now and I must let everyone know about them! Especially those who have requested to buy some. Firstly though I have to finish the cats. Actually I did sell a shuttle this weekend, someone who lives only 6 miles away from me bought one. We had never met before and she just came along and bought one after seeing them on the internet. We had a quick chat before she headed home, her husband was in the car and so did not want to hear 'tat chat'. Wish every sale was so easy! So many people have been asking about the pop-a-bobbin shuttles over the last month or so that I have lost tract of where I have seen most of the inquiries! A lot of shuttles have now been made but I can't find enough time to actually let everyone know and start the process of packaging them and posting them! 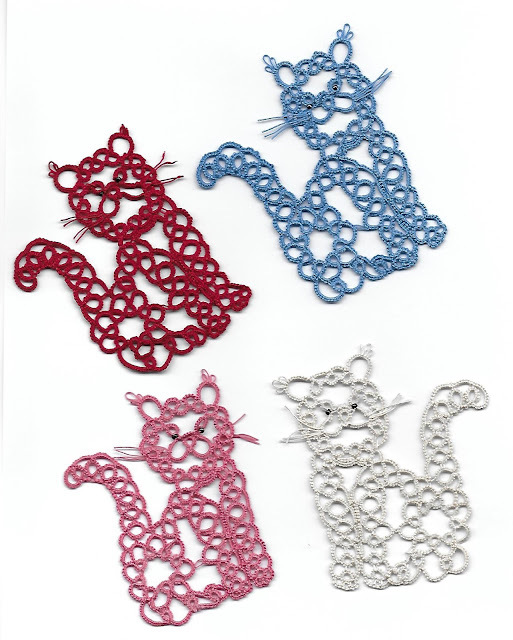 In the meantime someone has asked me to make four cats and I am using the pattern from Inga Madsen's book, Tatted Animals. They want them in size 40 thread which seems very fine to me, I am a 20's kind of gal! I tried to delay this request for the cats, but sadly was unable to. Have not touched a doily for weeks, which is a shame as I look forward to doing something relaxing of an evening. Half way through the month! Time as usual is going too quickly and I have so much going on in my life at the moment. One of the things I am preparing for is a Craft Evening for Adults in 9 days time. I started preparing for it a couple of months ago but suddenly there is a lot more to do and very little time to do it! In the rare spare moments I have, which are mainly in the evening, I continue with Renulek's doily. This is one of the crafts that is causing me a bit of a headache, a Spring Rag Wreath, only because there are so many strips to prepare. However, my son bought me a cutting board, ruler and cutter and now racing ahead with a bag full of bits! I am afraid that tatting is very low on my list of projects at the moment, in fact I have only, in the last few days mastered Renulek's butterfly round on her doily. I just could not get the hang of it at first, mainly due to continuing from the previous round which confused me somewhat! 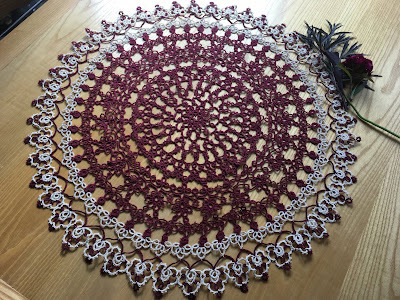 But actually being so slow in making this doily is to my advantage because others have helped with a few useful tips as they have completed each round. But this is what I have been doing over the last week in preparation for a children's activity on Friday and an adult craft evening next month. It is really a door knob hanger but found it easier to take the photograph dangling from a shelf. I am using the plastic Clover pom pom makers to make them, much quicker and easier than bits of cardboard or a fork. 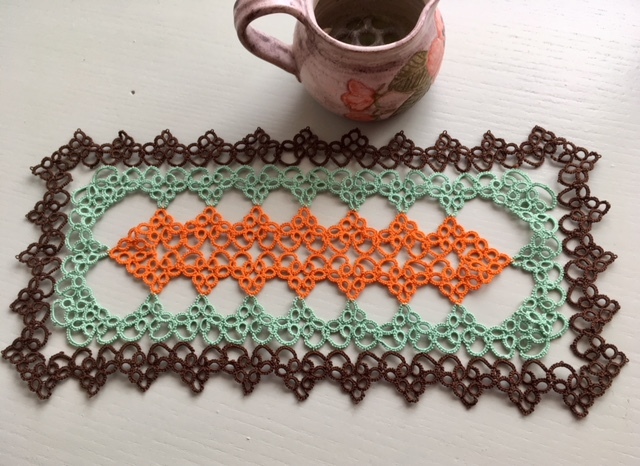 I have not given up on this rectangular doily, in fact really like tatting it because I am finding Round 7 (the butterfly round) of Renulek's doily rather challenging at the moment. Rather unsure if I am really happy with how it is looking, but will try and persevere with it. I took this photograph outside on a rather grotty table, the light was failing and the colours are not quite true but it gives you an idea how it is progressing. Since posting the pop-a-bobbin shuttles on a few tatting related facebook pages there has been keen interest. This I find rather surprising as I thought everyone in the 'tatting world' knew about them, but obviously not. One person from England has emailed me to say she can only find the shuttles in the USA, and how much does it cost to post them from there! On the facebook page I stated that I lived in England so she must think that 'Im in the garage' lives over the pond, have replied and stated that he actually lives with me! 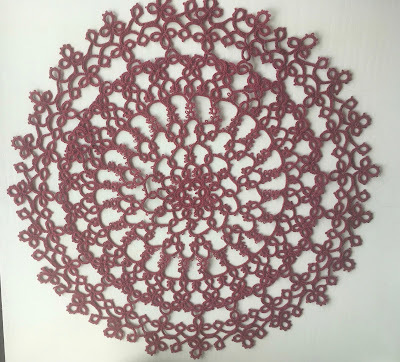 I have completed round 6 of Renulek's doily but it did not completely lie flat until I gave it a press. At first I thought the project would have to be abandoned but hopeful the next rounds will work out just fine. This photograph was taken from a strange angle as I had placed it on the snowy ground! 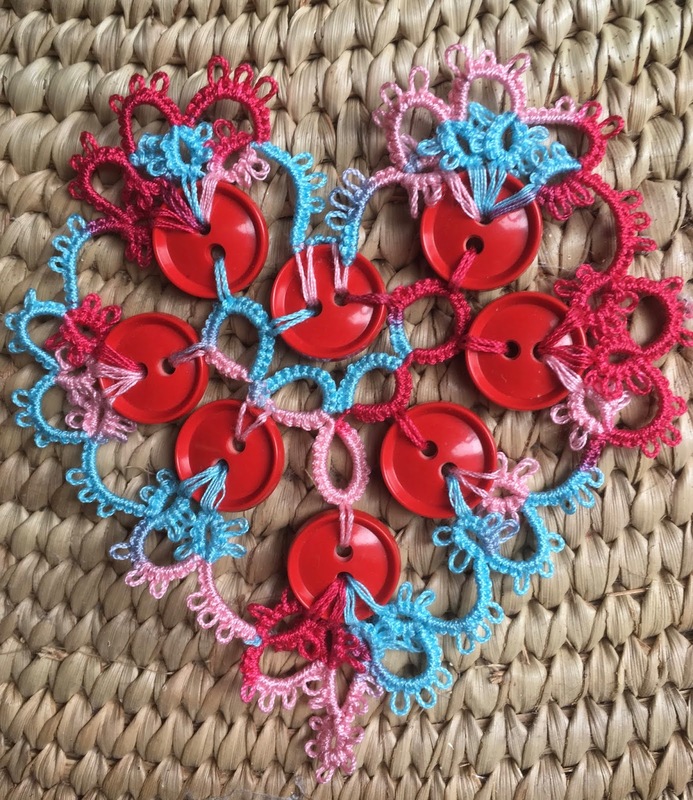 It seems as though the pop-a-bobbin shuttles are still quite popular as I put them on a few tatting related facebook pages as well as this blog. As a result I have shut 'im in the garage' again to make some more. Unfortunately it is a little cold at the moment, but hopefully Spring is around the corner. I wanted to show you these two lonely shuttles that are for sale. If you would like to buy any of them please let me know. I am also putting them on a few facebook pages so others will get a chance, but not quite yet, first call will be you! They are £18.00 each but that does not include postage. The top one is cherry and below is apple. Each come with the popper tool and an extra plug. As you can see these photos were taken with the shuttles resting on snow. It has been extremely cold in this part of the world, and very unusual for the south of England where I live, temperatures during the day have been -3 degrees centigrade with a bitter wind making it feel even colder. The weather that hit Britain this week was nicknamed 'The Beast from the East' blown in from Russia and Siberia and when these conditions collided with storm Emma on Thursday the country almost came to a standstill. But today things are almost getting back to normal, just need to go out to see if the local shop has managed to get a milk supply in! I am starting to prepare for an adult craft evening near the end of April. Every Wednesday after school I help to run a craft club for children which is a huge success. It is also very challenging thinking of crafts, especially as the children are quite young mainly 3 - 7 yr olds and have a low attention span. The parents like to do the crafts as well or just finish off what their children have started to make. Today I made the first craft for the adult session, I am only planning to hold these sessions every three months. As you can see I have added tatting (pinned them on) to this one dragonflies and butterflies but not sure they will be an option in April, will have to see. But nevertheless really pleased with the result as it is something that can be made in just over an hour, or less if you are good at sewing. Now to think and make more crafts for the evening. I am beginning to wonder if making two dollies at the same time is a wise move! However, they are completely different and so far I am enjoying working both of them. Renulek's 2018 doily is so dainty and I am really pleased with the way it is progressing. I have made one slight modification though. 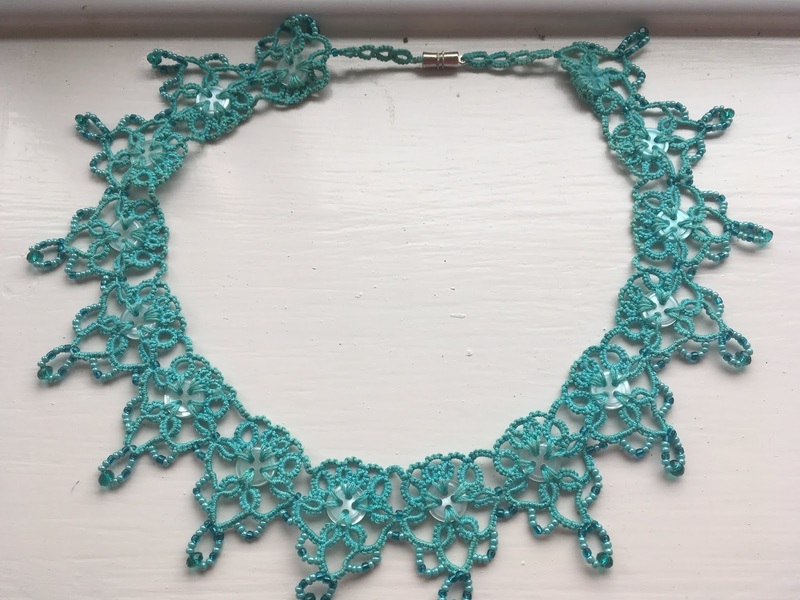 My big sister Jane has taught me that when you have a ring off a chain it is best to put a small picot on the chain before working the ring and attaching the ring to it and likewise before the ring is closed adding a small picot so the other side of the chain can be attached to it. The rings are then a little more firmer and don't move about so much. Looking forward to the next round and seeing the progress others are making working this doily. Amazingly I am continuing this pattern of Jane's which is Fandango Rectangle. 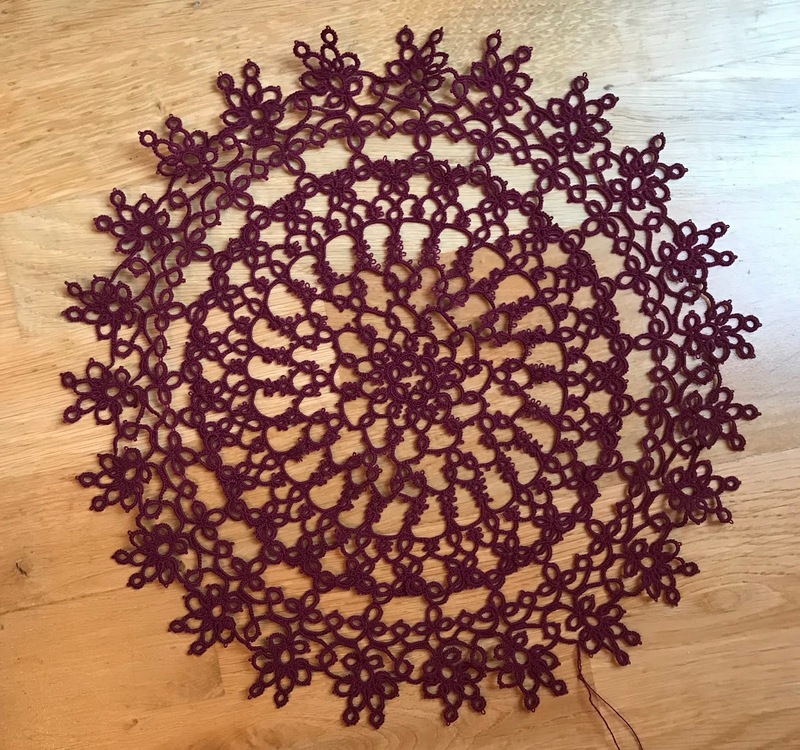 I did make the centre a bit longer than the suggested one in the pattern, only because the last doily I made grew so large that it ended up becoming a square! So enjoying tatting this and have realised that at the moment tatting anything small is not very rewarding. Perhaps this is because I have boxes of tatting hidden away doing nothing. 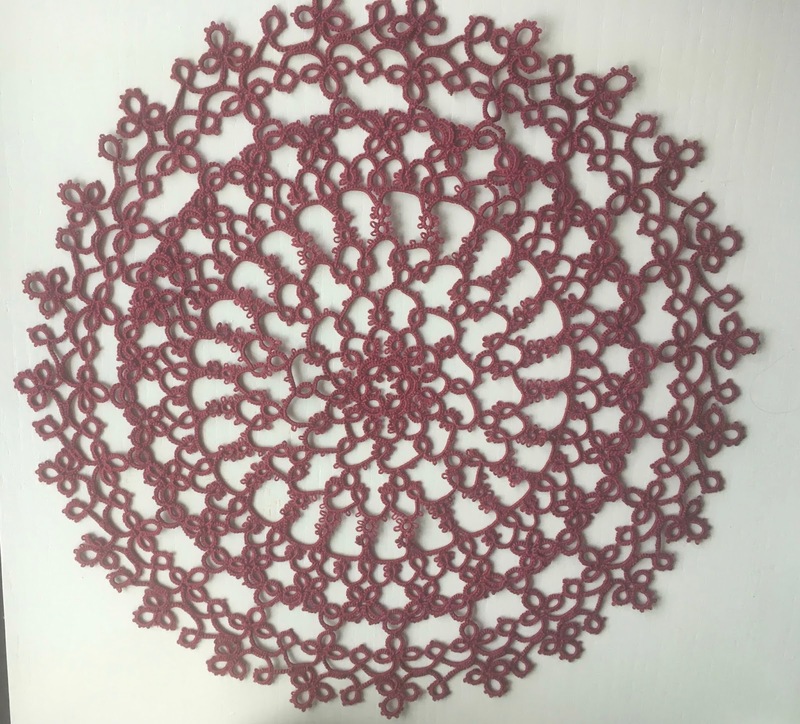 Whereas tatting something larger means that it is on show as it grows and in the future, well hopefully it will be used and admired. I wonder if anyone can guess what colour I will be using next? 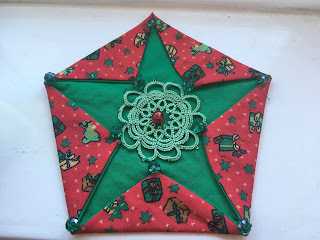 I really enjoy taking part in these 'tat-a-long' doilies that Renulek designs every year. She is such a talented designer and tatter. Although the last doily of hers that I actually managed to take part was four years ago, when over time I completed three of that particular design. 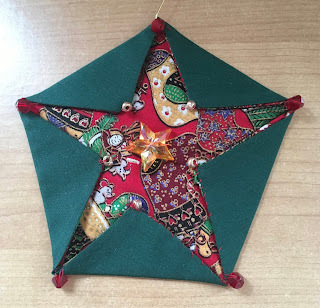 Strange in the past I had no interest in dollies, somehow though with the discipline of tatting a round at a time and waiting for instructions for subsequent rounds, seems far easier and less daunting. Although it has taken me almost two weeks to decide on the thread size and the colour for this particular doily. 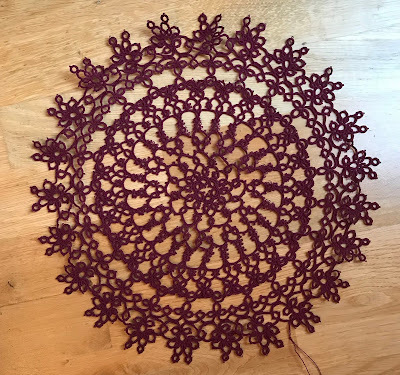 I have chosen burgundy, but who knows what will happen as the doily progresses, oh and the thread is size 20. 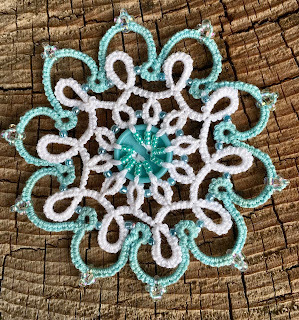 Tomorrow Renulek is going to post the third round, so hello to those of you who are also tatting this beautiful doily. I now feel I am on the road to recovery after having a break from tatting during which I had no motivation to do any. This is what I am currently working on. However, a good sign is that I am being tempted to stop and start other projects especially when seeing what other people are tatting! 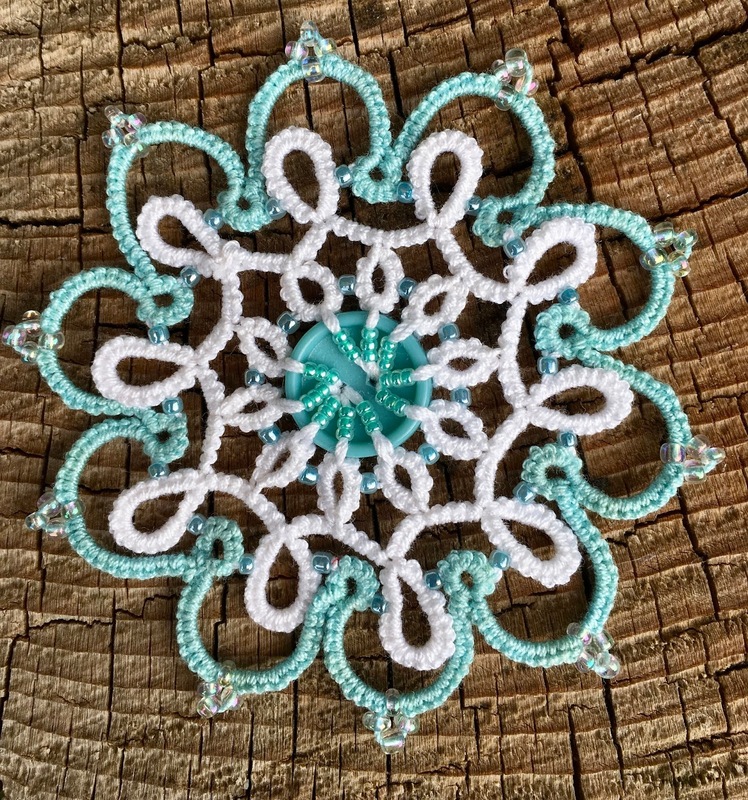 No it is not a bookmark, but the centre of a doily. I have only one large doily left as I sold three over Christmas, however I doubt anyone will ever want this one because of the colours I have chosen. One of the churches in the group I minister in has joined 'Small Pilgrim Places' it is a network of churches around the country which stay open in the day time. They encourage people to come inside and rest for awhile soaking in the atmosphere, a quiet haven of peace from the busy world outside. This particular church was recorded in the Doomsday book of 1086 and is situated on a hill with a marvellous view of the countryside. 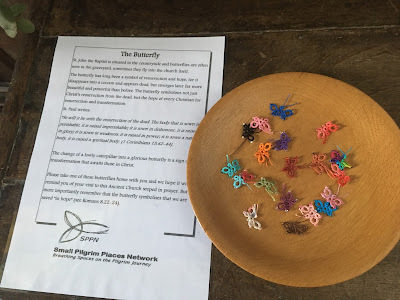 In order to welcome visitors I have left some tatted butterflies for them, it will be interesting to see how quickly they go and how many people take more than one! This is the church that also has three doves sleeping in the porch, so you have to be careful not to stand directly under them! Having had an extremely bad start to the New Year with regard to doing any handicrafts I have at last picked up my shuttles again.